My son set a couple goals over our holiday break. One of the big ones was that he wanted to learn to tie his shoes. So in true procrastination form, the night before we went back to school, I pulled up a youtube video and within minutes my little boy was happily tying his shoes! 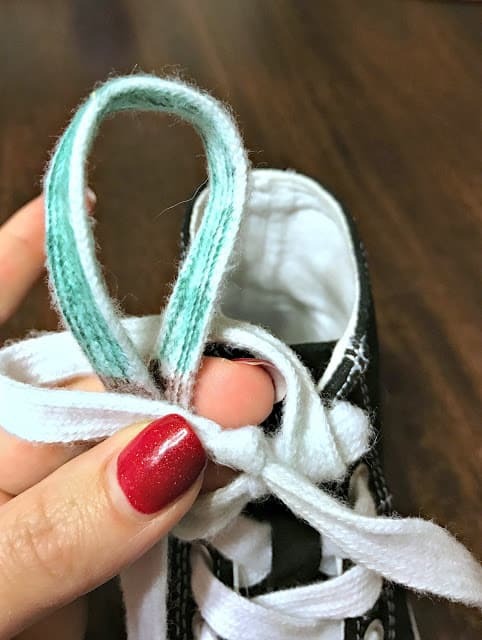 This is the easy way to teach your child how to tie their shoes with no stress or frustration. He was so happy that he asked me to take a video and send it to his daddy and grandma. The quality and angle are obviously not the best, but this was within minutes of trying out the method I will discuss below! It was awesome to see something that my son has struggled to learn, completely click and his face just light up. 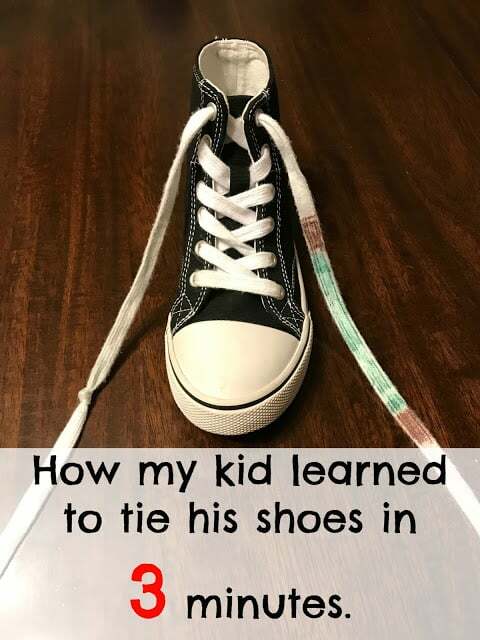 The first step that parents need to do is color code the laces. You do this by using two different colored sharpies and marking on the laces. If you use a green and brown sharpie you can use them to represent the leaves and the trunk of a tree. You will also tie a knot in the lace that is not colored. See the video at the end of this tutorial to see exactly how to do this. After the laces are set up, show your child how to thread the laces into your first knot and have them complete that step over and over until they are successful many times. 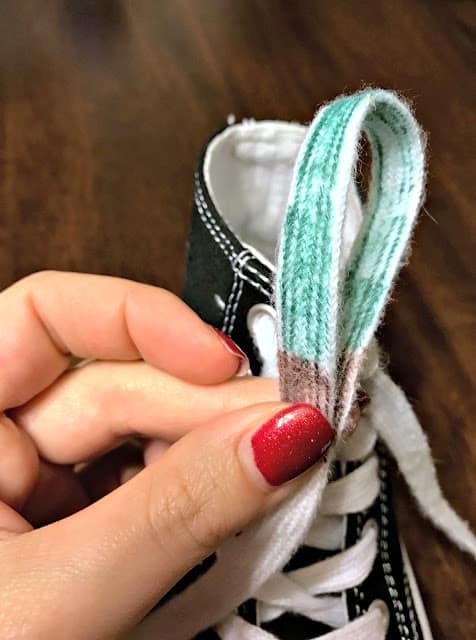 Next, have your child match up the colors on the lace that you marked to create the first bow. This would be the trunk of the tree you are matching up. Have your child repeat the pairing of the “trunk pieces” a couple times. It does have to be exact, but pretty close. Now take the other lace that you tied the knot in and wrap it around the trunk of the colored lace. 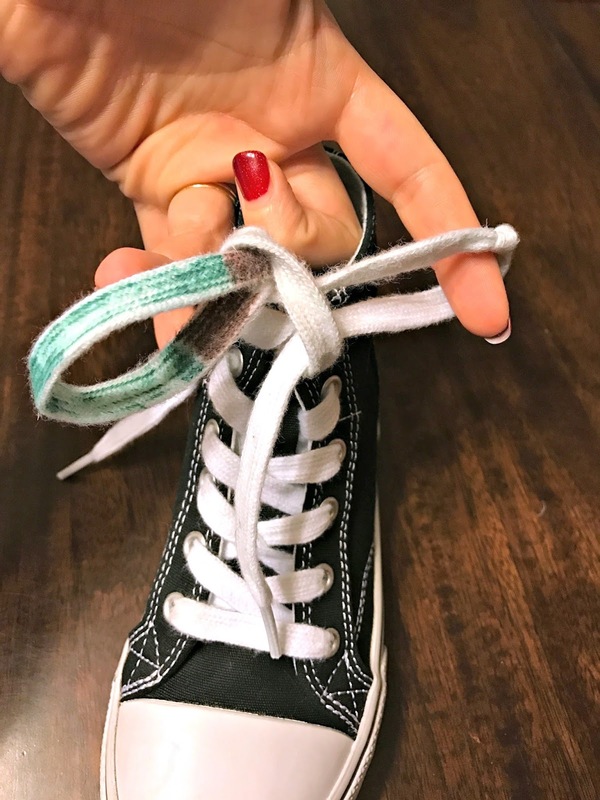 When your child sees the knot through the loop, have them pull both the knot and the “leaves” of the colored lace (The leaves are the green part on my picture). Shoe is tied and everyone is happy! 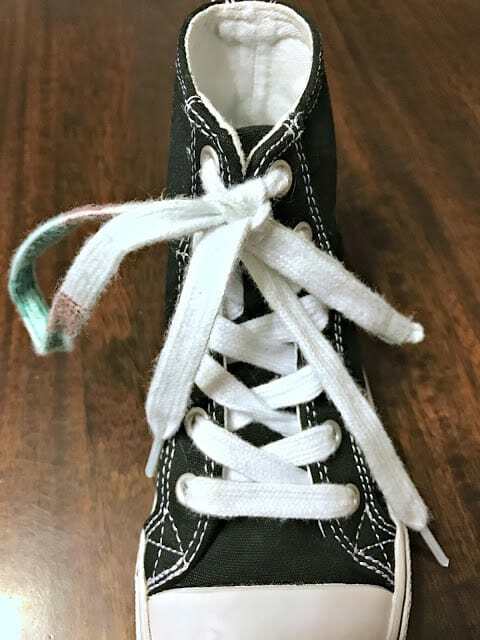 It is recommended that you use the flat white cotton laces when your children are learning to tie shoes. In addition, each step should be practiced over and over before moving onto the next step. I will say that it went much faster than I ever expected and the frustration level that we had previously been dealing with before learning of this technique was nonexistent! 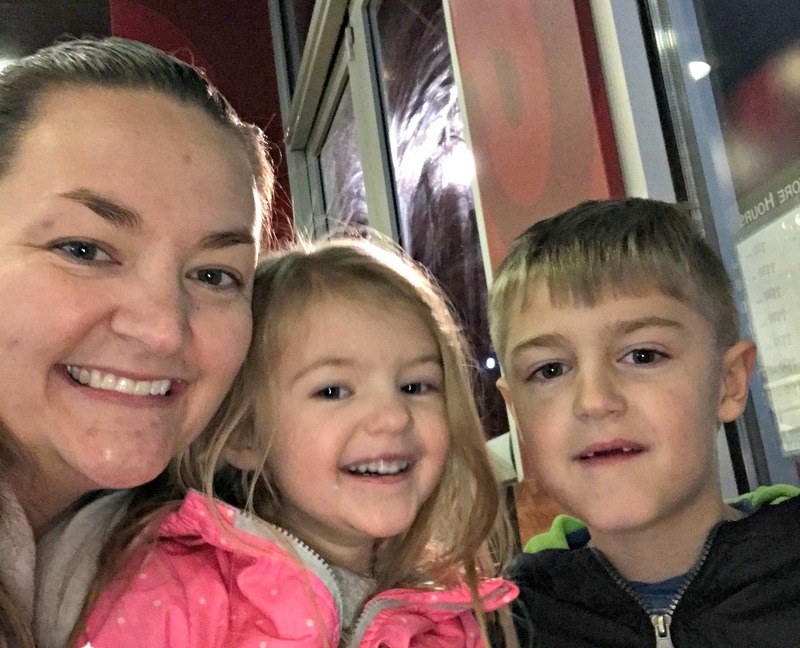 To celebrate, the kids and I took an impromptu late night run for ice cream in the cold! It was awesome and we are so proud of our little boy and extremely thankful for this technique! Hope it helps you out as well! Make sure to check out the video from Youtube where I originally got the idea. It has been a lifesaver! We will be putting it to use again as our youngest starts Kinder this fall! Sounds great but as soon as you use non-coloured laces won‘t they be confused? How long does it take to really learn they steps? 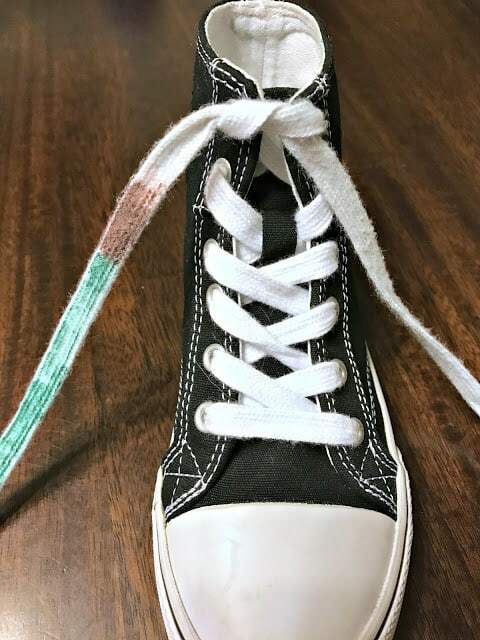 We used the colored laces for about 3 months and then he was fine without them or the knot. My son literally learned in 3 minutes. I colored the laces, we practiced each step for a couple seconds and he was ready to go. Might be longer for some and he has very good fine motor skills, but I actually sat a timer and he was able to complete it in 3 minutes! Can’t wait to try this with my son! yay! I am gearing up for round 2 with our littlest too!